Just about a year ago I was reviewing Nabatov’s album Monk ’n’ More, compilations from solo recordings of Thelonious Monk compositions recorded in 1995 and from a live, concert recording of Nabatov’s first use of electronics in 2013. 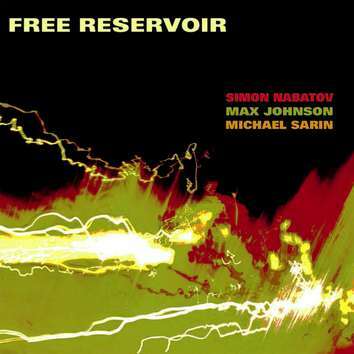 Free Reservoir surprised me therefore as I was perhaps expecting further explorations along the lines of Monk, not a trio which sounds as though it is a trio of three pianos. Right from the start I perceive the free shades of Cecil Taylor, as well as echoes of the elegiac bounce of be-bop. Other influences abound, not least Nabotov’s classical piano training and a hint of Afro-Brazilian tempo suggestive of funk. (The suggested Afro influence may hail by name from a tribal elder, Maracatu, of Central Africa. Maracatu music is a confluence of styles in songs, rhythms and music imported into Brazil by slaves forced to Brazil by Portuguese slave-traders and still prevalent today). There is a forceful interplay amongst the players that sees shifts between a madness of pace and quieter syncopation, among glittering cataracts from the keyboard and inscrutable, contemplative bowing on the bass, and all flanked by electrical storms raging between the drummer and pianist. It is an album of extraordinary moods and astonishing mood changes which must definitely be endorsed. Nabatov clearly has a bottomless lake of ideas to draw from and the skill and invention to make his exploits with his fellow musicians more than synergetic.